Lipomin Review (UPDATED 2019)– Does it Really Work? Lipomin Review – Does it Really Work? With a website featuring an attractive smiling young woman with lean abs, Lipomin is a diet pill that promises to it’s potential buyers that they can lose all that pesky accumulated weight in a quick fashion. All they have to do is buy their product! Wouldn’t it be great if it was just that simple? But can any of the claims they make be scientifically verified? Or are the claims that the company makes just words, no more, no less? We decided to look into this product and check if you will actually be losing anything, besides your money. Lipomin is manufactured by the Utah based Pierce Hawthorne. 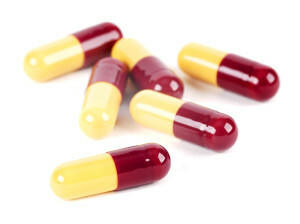 Pierce Hawthorne is known for producing diet pills, some of which include ApidexTrim, Apidextra and OxySelect Pink. When reviewing the company as a whole, the Better Business Bureau (BBB) gave this company a D rating. While unavailable on websites such as esupplements.com and Amazon.com, Lipomin can still be purchased on it’s own official website. Lipomin claims that it can help it’s users lose weight through 3 key factors: by upping the metabolic rate, suppressing the appetite and blocking fat from being stored. The company’s website claims that Lipomin is a safe and effective way to quickly lose weight. To get the desired results, users are instructed to take 1-2 capsules 30 minutes before breakfast and lunch with 16 ounces of water. There are not many reviews of this product, as most retailers have discontinued their sale of this product. Of those who took this product, one person claimed that they saw no change in their weight. 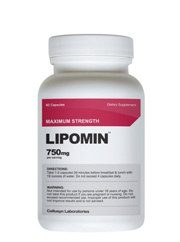 Lipomin has completely revamped it’s ingredient list from what it previously was. This may lead to some confusion on the part of people who are researching this product. While still boosting metabolism, suppressing appetite and blocking fat from going to storage, this product no longer advertises that it activates thermogenesis or that it boosts energy. You won’t find diet pills that retract their statements like this on the top 10 list. Green coffee bean extract: Although much praise has been given to this product by TV personalities such as Dr. Oz, there is no clinical proof that this ingredient helps with weight loss. Green select phytosome green tea: A trademarked version of green tea, this is used not only for the antioxidants that can be found within this ingredient, but for it’s metabolism boosting properties as well. Irvingia gabonensis: Coming from the African mango, this is believed to help suppress appetite. Caffeine anhydrous: Coming in a crystallized form, this ingredient boosts the metabolism and energy levels, as well as giving the user heightened mental cognition. Coenzyme Q10: An antioxidant that helps produce energy, as well as promotes heart health. There are no reported side effects from use of this product. When buying multiple bottles from it’s own official website, another product known as the 3-Day Detox for free. There may be some confusion with Lipomin, in regards to if what is in it and if it’s even available at all. Websites such as Amazon.com list the product, but say that they have discontinued selling it. When searching up Lipomin there are also reviews that have a completely different list that what is advertised on the official website. It isn’t good when it’s hard to know what’s in a product, much less if it’s even available at all. Even though there are claims that the ingredients listed are proven to be effective in regards to weight loss, there are no links to any of the studies. All we have to go on is the word of a company that wants us to buy their product. That, and the testimonials featured on the website. On the note of the testimonials, one has to question their authenticity. There are 4 featured testimonials, but when looking into other websites such as esupplements.com, the exact reviews are used again, verbatim, even though what is listed has a different ingredient list! This all just begs the question if any of them are real at all. Everyone wants to lose weight, and the faster it happens, the better. While Lipomin claims that it can get it’s users to the peak that they wish to reach, there is nothing in reality to back up these claims. Lipomin likes to talk big game, that it is effective in helping it’s users lose weight fast. However past all the advertising copy, the marketing keywords, there lies a product that is not proven to work. There are no studies, and very few independent reviews on this product to verify anything. 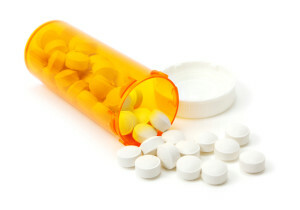 Better diet pills can back up the claims that they make. As it stands now, Lipomin is all talk with no effect in having you lose anything, other than the money in your wallet.